The ordinance was passed in the City of Kettering on December 10, 2009. History has shown that approximately 98% of all alarm calls are false. Zero to 3 false alarms- No abatement fee assessed. 4th occurrence in calendar year- $100.00. 5th occurrence in calendar year- $150.00. 6th- 9th occurrences- $200.00 per false alarm. 10 or more occurrences- $300.00 per false alarm and/or disconnect order/permit revocation. The calendar year will begin January 1. Multiple false alarms occurring within a 24 hour period, beginning with the first alarm, may be counted as one (1) false alarm, unless the alarm user already had three (3) or more false alarms during the same calendar year. Each month assessment letters are sent to the respective alarm owners. The assessment letter states the monthly amount and total balance due. It does state that payment is required within 30 days or an “order to disconnect” may result. If you would like to register your alarm please download the Alarm Registration and send it to the listed address, along with the listed administrative fee. If a homeowner moves or cancels the alarm service, the police department asks that you please notify Officer Ferrell. Alarm RE-REGISTRATION takes place every two years. The alarm permit holder must update the registration form so that the department has current information. Re-registration can be done either by using the website registration form or by contacting Officer Ferrell. There is NO fee to re-register. If the residence or business is found to be secure with no signs of criminal activity, then a copy of the response card is left by the officer. If the alarm is activated accidentally, officers will make contact with the person on scene to confirm there is no problem and leave a copy of the alarm response card. If alarm fees are not paid, then both civil and criminal action can be taken against the alarm permit holder. If the disconnect order is ignored, the alarm user will be charged with a Minor Misdemeanor. 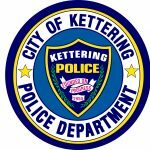 If you have any questions, please contact Officer Ferrell at 296-2458 or visit the Kettering Police Department's website for information. Find a printable application here to be completed, signed and returned with $10 fee. This is for new registrants only. If your alarm is already registered and you need to update your information, please contact Officer Ferrell directly. If you submit your registration form online, please send your $10 registration fee to Officer Joe Ferrell, Kettering Police Department, 3600 Shroyer Road, Kettering, OH 45429 or drop it by the Finance Department at the City Government Center.